This Lowlands distillery is part of the Girvain complex, owned by William Grant & Sons. Most of the output makes its way to blends however there was a recognition that a single malt expression should also make it to market. What did our cigar chomping gents think? We set it aside to revisit… much more enjoyable however still more on the sweet side, not much variety, could even be described as ‘linear’ with a wintry quality. Overall we thought not a bad start but not one we would run out to grab another bottle immediately. 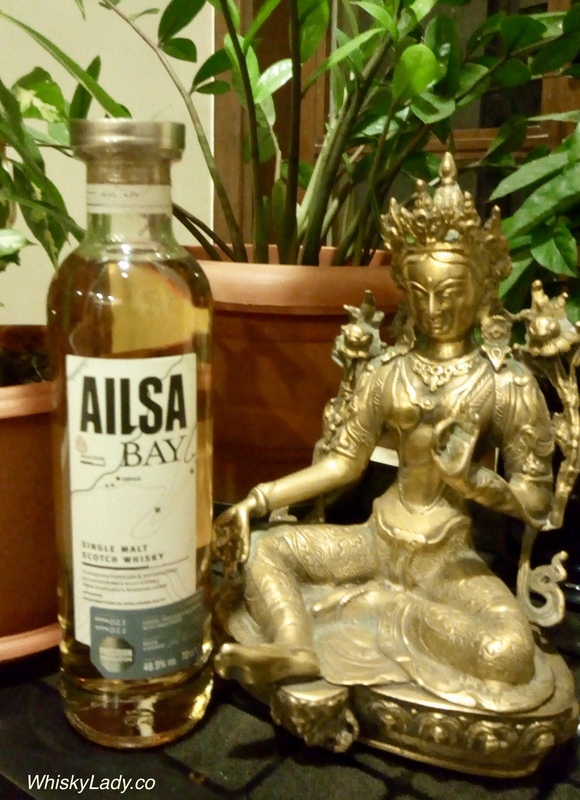 Alisa Bay is purported to find balance between sweet and peat… which they strictly adhere to 21 PPM for the peat then also measure the ‘sweet’ side too with their SPPM – at a level of 11 SPPM. They also use a ‘micro maturation’ process with the new make spirit filled into Hudson Baby Bourbon casks (25-100 Litres vs standard barrels with unto 200 Litres) for 6-9 months for an ‘intense rapid maturation’ then transferred to a mix of virgin and 1st fill American oak casks. And Alisa Bay’s tasting notes? Would we agree? Mostly… however complex? Not what we found. While I can’t definitively confirm, I suspect this particular bottle made its way to us via The Whisky Exchange where it can be purchased for approx £55.55. 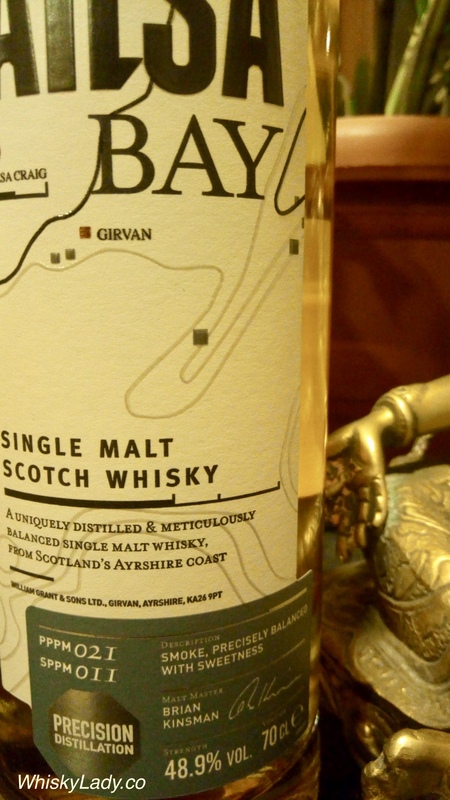 This entry was posted in Lowlands, Scotland and tagged Alisa Bay, Girvan distillery, Peat, William Grant + Sons by Carissa Hickling. Bookmark the permalink.